Is Europe about to be overrun by Muslims? A number of prominent European and American politicians and journalists seem to think so. The historian Niall Ferguson has predicted that "a youthful Muslim society to the south and east of the Mediterranean is poised to colonise - the term is not too strong - a senescent Europe". And according to Christopher Caldwell, an American columnist with the Financial Times, whom the Observer recently described as a "bracing, clear-eyed analyst of European pieties", Muslims are already "conquering Europe's cities, street by street". So what if Muslims account for only 3% to 4% of the EU's total population of 493 million? In his book Reflections on the Revolution in Europe: Can Europe Be the Same With Different People in It? - which was featured on Start the Week, excerpted in Prospect, commended as "morally serious" by the New York Times and has beguiled some liberal opinion-makers as well as rightwing blowhards - Caldwell writes: "Of course minorities can shape countries. They can conquer countries. There were probably fewer Bolsheviks in Russia in 1917 than there are Islamists in Europe today." Apparently it's not only Islamist revolutionaries, but also rapidly breeding Muslims who are transforming Europe into "Eurabia". The birthrates of Europe's Muslim immigrants are actually falling and converging with national averages, according to a recent survey in the Financial Times; but "advanced" cultures, Caldwell claims in his book, "have a long track record of underestimating their vulnerability to 'primitive' ones". As the Daily Telegraph, quoting Caldwell, asserted last weekend, Britain and the EU have simply ignored the "demographic time bomb" in their midst. Muslims, Nick Griffin of the BNP once warned, are seducing white girls as part of a plot to take over Britain. Caldwell is also convinced that "Muslim culture is unusually full of messages laying out the practical advantages of procreation", and, he wonders - though Muslims don't despise Europe as much as Palestinians hate Israel - didn't Yasser Arafat call the wombs of Palestinian women "the secret weapon" of his cause? In a democratic age, you can't buck demography - except through civil war. The Serbs figured that out - as other Continentals will in the years ahead: if you can't outbreed the enemy, cull 'em. Bruce Bawer, whose book While Europe Slept: How Radical Islam Is Destroying the West from Within was nominated for a National Book Critics Circle award, suggests that European officials, who are "in a position to deport planeloads of people everyday", "could start rescuing Europe tomorrow". There are now even politicians ready to do the "unsayable". The Dutch MP Geert Wilders, whose party was one of the big rightwing winners of June's elections to the European Parliament, proposes expelling millions of Muslims from Europe. A separate ministry for this purpose is advocated by Austria's extreme-right parties, which gained an unprecedented 29% of the popular vote last year. Many European politicians and commentators are reluctant to denounce the headscarf as, in French philosopher André Glucksmann's description, a "terrorist operation", or to see the Somali-Dutch polemicist Ayaan Hirsi Ali, presently employed by an American neoconservative thinktank, as Islam's Luther. But these sceptics may be, according to Bawer's new book Surrender: Appeasing Islam, Sacrificing Freedom, as much the dupes of "Islamo-fascism" as Europe's multiculturalists, who, Bawer writes, "might have been invented by Osama bin Laden himself". At a private conference in Sweden a couple of years ago, I saw some of Anglo-America's leading academics, journalists and columnists denounce Ian Buruma, Timothy Garton Ash and other liberal critics of Hirsi Ali with even more bitter passion than they spent on what Caldwell calls "the penury, servitude, violence, and mediocrity of Muslim societies worldwide". Such rage and contempt was startling. The lone representative of the Muslim world among us, a Turkish scholar, occasionally protested, and was ignored. He later complained in his newspaper column about the "Islamophobia" that makes his country's accession to the EU all the more arduous. It was hard then not to feel the poignancy of Turkish aspirations. No Muslim country has ever done as much as Turkey to make itself over in the image of a European nation-state; the country's westernised elite brutally imposed secularism, among other things, on its devout population of peasants. Despite having taken almost all prescribed routes to western modernity, Turkey finds that Europe would rather use it as a foil. According to Austria's extreme-right Freedom Party, Christendom's old rival is not welcome in Europe because "there was no Enlightenment and no Renaissance in Turkey" and "one of the most important values of Europeans, tolerance, does not count in Turkey". The Turks might be forgiven for offering the reminder that Austria was, in living memory, a major collaborator in the Nazi scheme to murder and enslave millions of Europeans. But then, as the historian Tony Judt has pointed out, the modern idea of Europe - the presumed embodiment of democracy, human rights, gender equality and many other good things - conveniently suppresses collective memories of brutal crimes in which almost all European states were complicit. Genocide during the second world war followed by ethnic cleansing were what finally resolved Europe's longstanding minority "problem", blasting flat, Judt writes, "the demographic heath upon which the foundations of a new and less complicated continent were then laid". In Europe's largest migrations of refugees, some 13 million ethnic Germans fled Poland, Czechoslovakia, Hungary and Romania after the war. The eviction of other ethnic groups (Poles, Czechs, Slovaks) brought many countries closer to fulfilling the Versailles ideal of national homogeneity. These immigrants were expected to work hard in their mostly menial jobs and then return to their respective countries. Living in their urban ghettos, they were rarely expected to become full citizens. After the oil crisis of 1973, many European countries tightened restrictions on immigrants. By then, millions of Muslims had decided to settle in Europe, preferring the social segregation and racial discrimination they found in the west to political and economic turmoil at home. They have been joined, since the 1970s, by a second generation of Muslims born in Europe, many of them with bleaker prospects of employment than their parents. Today, about 15-16 million Muslims from families of immigrant origin live in the EU, mostly in the cities. Surveys and opinion polls, including a recent one by Gallup, repeatedly reveal the average European Muslim to be poor, socially conservative, unhappy about discrimination, but generally content, hopeful about their children - who attend non-religious schools - and eager, like their non-Muslim peers, to get on with their lives. Initially high, birthrates among Muslim communities across Europe are falling as more men and women become literate. Exposure to secular modernity has also weaned many of these immigrants away from traditional faith: only 5% of Muslims in France regularly attend mosques, and elsewhere, too, non-observant "cultural Muslims" predominate. Restrictive immigration laws passed since 1973 have generally upheld the conservative idea that, as the German philosopher Carl Schmitt put it, "a democracy demonstrates its political power by knowing how to refuse or keep at bay something foreign and unequal that threatens its homogeneity". Denmark now has a law preventing citizens under the age of 24 from securing residence rights for their foreign spouses. Germany appeases anti-Turkish sentiment by requiring migrants from poor countries to pass a language test before joining their spouses in Germany. In 2008, fewer immigrants obtained German citizenship than in any year since unification. European governments, most of which are now centre-right, periodically unfurl the flag of majoritarian nationalism in order to seduce anti-immigrant votes away from extreme-right parties - France's National Front, Austria's Freedom Party, Belgium's Flemish Interest and the British National Party, which have repackaged their foundational antisemitism, and now accuse Muslims rather than Jews of secretly conspiring to control the world. Ordinary Muslims in Europe, who suffer from the demoralisation caused by living as perennial objects of suspicion and contempt, are far from thinking of themselves as a politically powerful, or even cohesive, community, not to speak of conquerors of Europe. So what explains the rash of bestsellers with histrionic titles - While Europe Slept, America Alone, The Last Days of Europe? None of their mostly neocon American authors was previously known for their knowledge of Muslim societies; all of them suffer the handicaps of what the philosopher Charles Taylor, in his introduction to a new collection of scholarly essays entitled Secularism, Religion and Multicultural Citizenship, calls "block thinking", which "fuses a very varied reality into one indissoluble unity". 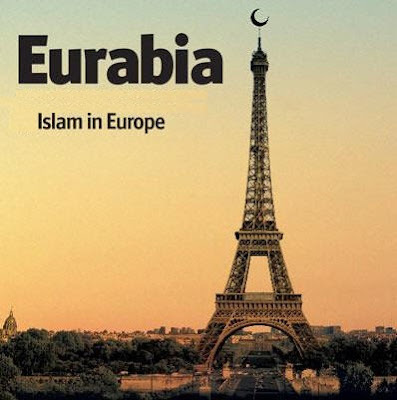 Certainly, the idea of a monolithic "Islam" in Europe appears an especially pitiable bogey when you regard the varying national origins, linguistic and legal backgrounds, and cultural and religious practices of European Muslims. Many so-called Muslims from secularised Turkey or syncretistic Sindh and Java would be condemned as apostates in Saudi Arabia, whose fundamentalist Wahhabism informs most western visions of Islam. Unemployment, discrimination and other generic psychological disorientations of second- or third-generation immigrants make young Muslims in Europe vulnerable to globalised forms of political Islam, many of whose militant versions vend political aphrodisiacs of a restored Islamic community to powerless individuals. But it is a tiny minority that is attracted to or is ready to condone terrorist violence. Not surprisingly, most of these Muslims live in Britain, the European country most tainted by the calamitous "war on terror" that David Miliband, as well as Barack Obama, now concedes was possible to see as a war on Muslims. Europe's security and intelligence agencies are demonstrably more effective against Islamist terror groups than they were against many homegrown militant organisations: the murderous attacks on London in July 2005 and Madrid in March 2004 have to be measured against the more numerous and relentless assaults by the IRA in the past and ETA in the present. But the killings of hundreds of thousands of Muslims in Iraq, Afghanistan, Lebanon and Gaza, which are exhaustively reported and not euphemised away as "collateral damage" by the global Muslim media, have created a general volatility, in which seemingly local acts can, as the Danish cartoon controversy proved, immediately spark a worldwide conflagration. Last month, a German put on trial for abusing an Egyptian pharmacist in a headscarf fatally stabbed his victim in a Dresden court, provoking widespread anti-Europe protests in Egypt. Stoked by tabloids and opportunist politicians, a general paranoia linking Muslims to extremism has simmered in Europe since 9/11. A mini-riot erupted in Birmingham last weekend, when demonstrators against "militant Islam" from a group claiming to represent "English people, from businessmen and women, to football hooligans", clashed with Asian men. Fortunately, the good sense and decency of the great majority of Europeans still prevails in everyday transactions of civil society; this instinctive neighbourly regard may be more effective than the state's many initiatives in keeping the peace among Europe's politically diverse communities. Nevertheless, Eurabia-mongers from America seem as determined as tabloid hacks to strike terror among white Europeans about their local newsagent or curry house owner. "If the spread of Pakistani cuisine," Caldwell writes, "is the single greatest improvement in British public life over the past half-century, it is also worth noting that bombs used for the failed London transport attacks of July 21, 2005, were made from a mix of hydrogen peroxide and chapatti flour." Most south Asian cuisine consumed on British high streets hails from India or Bangladesh, rather than Pakistan. Caldwell, however, won't let facts get in the way of the many eagerly consumed chapattis rising up his white British reader's gorge, though a reference to Pakistan "in the 19th century" does make one wonder whether Caldwell can tell his brown folks apart. His grasp of European history, too, seems shaky: Italy, he tells us, is like Sweden in being "without an important colonial history". Approvingly quoting Ernest Renan's and Hilaire Belloc's scaremongering about Islam as a threat to "white civilisation", he seems to be unaware that these two writers also described Jews as inferior "aliens" in Europe. Remarkably, Caldwell, who is a senior editor with the neoconservative Weekly Standard, does not appear to know that Edmund Burke, from whom he derives his book title, had a rather exaggerated reverence for "Muhammadan law". Caldwell does claim to like Islam for its "primitive" vigour, which he speculates may just revitalise "drab", materialistic Europe. Indeed, a very 1930s-ish obsession with sexual virility and racial purity runs through Reflections on the Revolution in Europe. Quoting from an essay entitled "White Man, What Now?" by the novelist Matthias Politycki, Caldwell wonders why Europeans today feel so "contemptible and small, ugly and asexual" before Asians and Africans. Like many fellow neoconservatives, he seems ultimately less worried about Islamic revolution, which he is probably clever enough to see as no more than a TV-friendly soundbite, than about Europe's cheese-eating surrender monkeys who won't prop up the dwindling power of the US.